Our parents always asked that we listen to them. But what happens when they refuse to listen to us? Some adult children are finding that their parents don’t always know best when it comes to their diet, driving, housing, medication, and more. Dad or Mom Won’t Take Your Advice: Now What? Recent research has found that 77% of adult children believe their parents are stubborn about taking their advice or getting help with their daily problems. • Accept the situation. You may want your mantra to be “it is what it is.” Said another way, “you can take a horse to water, but you can’t make them drink.” In other words, they are still adults with the right to make decisions — even if poor ones. • Decide how important the matter is. Is it a safety issue or something that is just inconsequential? As the saying goes, pick and choose your battles. • Don’t beat yourself up. Try not to hit your head against the wall too hard. There isn’t a lot we can do sometimes but stand by, watch closely, and be able to jump in when needed. • Find an outside outlet for your feelings. If you’re angry or resentful that dad’s not with the program, confide in, strategize with, or vent to, a friend, geriatric care manager, geriatrician, online support group, sibling, or therapist rather than your parents. • Think ahead. Is there a milestone they want to be around for, such as an anniversary, graduation or wedding? Then bring it up! • Treat them like the adults they are. 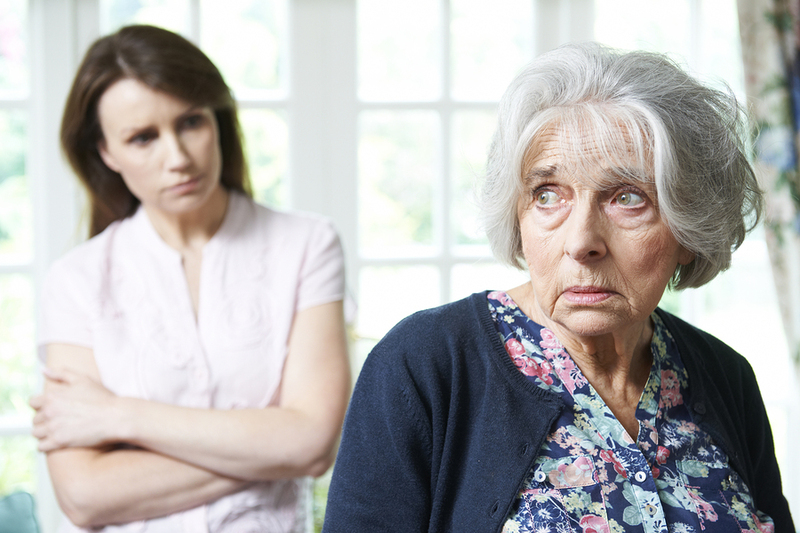 Dealing with a stubborn parent is not the same as dealing with a stubborn child. Older people should be autonomous. • Try to understand the motivation behind their behavior. Are they acting this way out of habit, to assert independence, or because they’re depressed or confused? What are they afraid of?